Eliminate obstacles to boost CRM adoption. CRM systems have been implemented with little or no consideration given to how sales reps will use them. These systems could be configured to deliver the kind of value that would encourage reps to use them. 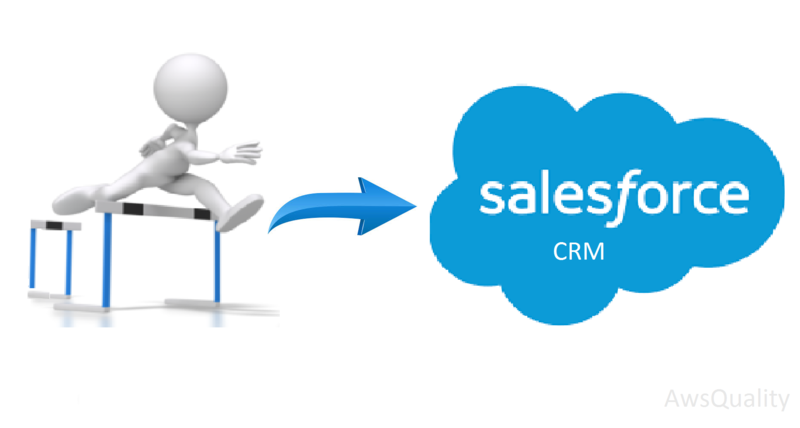 But, sometimes it is identified that sales reps are often slow to adopt or even against to adopt CRM systems. Here are some points that organizations face and how do they work to overcome these obstacles? Failure to include users in the design or deployment of the system process is the big concern. CRM systems are designed to support sales accounting processes and make it easier to track performance, estimate revenue, etc. Therefore, the system should be configured with features and functions that make sense to accountants and managers. If the primary intended users like sales reps are not consulted or involved in the creation, they will not be enthusiastic about using it. Failure to align CRM processes with sales team processes is also a problem. CRM systems are too often designed to support accounting processes rather than sales processes. People who monitor and analyze raw sales data think very differently and have different needs that sales reps. This becomes evident very quickly when a sales rep sits down to try and make sense of many CRM systems. Because of the disconnect between sales accounting needs and sales team needs during the CRM design and implementation stage, sales reps are often left to draw their own conclusions. Sales reps need all the encouragement they can get, so when confronted with a CRM that is not sales rep friendly, they tend to feel mistrusted, disrespected, and resentful. Failure to get buy-in from users. Sales reps should understand the benefit of well-deployed CRM. But, it is the sales rep that generates most of the data and creates most of the value. Therefore, the sales rep must perceive that the CRM creates value for them. Ask the sales reps to identify the needs they have regarding account management, information flow, research, etc. Ask sales reps to outline what they like and dislike about the present sales team process, to assure that the things they like about the present system are not degraded by the implementation of the new system. Make them understand that the new CRM system will benefit the sales process, increase efficiency and productivity, and simplify their life. So they can spend more time in growing their business.